The Leo Yanoff letters were donated to the University Archives by Ruth Yanoff in January 2015 (accession number 2015.005). The Leo Yanoff letters are arranged chronologically. 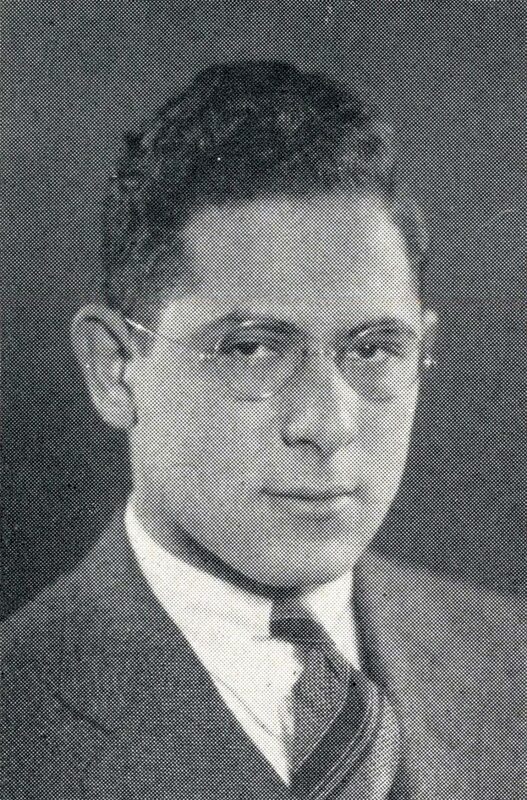 Leo Yanoff was a member of the University of Pennsylvania’s Class of 1930. He later went to Harvard Law School where he earned an L.L.B. in 1933 and became a judge of the Essex County (N.J.) Superior Court. Punch Bowl, the undergraduate humorous magazine of the University. After graduating with honors in 1930, Yanoff went to the Harvard Law School where he earned an LL.D. in 1933. He served in the U.S. Army during World War II, then founded the law firm Fox, Yanoff, and Fox in Newark, N.J. in the 1950s, and served as President of the Jewish Community Council of Essex County (N.J.) from 1958 to 1960. In 1969 Yanoff was appointed by New Jersey Governor Richard J. Hughes to the Essex County District Court. Three years later he became a County Court judge and subsequently a Superior Court judge. When he retired in 1999 after thirty years on the bench, Yanoff was the longest sitting judge in the New Jersey court system. Leo Yanoff was married for 73 years to his wife Louise, with whom he had two children, Ruth and Israel. He died on July 16, 2010, aged 99. The Leo Yanoff letters were written by Leo Yanoff to his parents between September and November 1927. The letters document Yanoff’s thoughts during his first months as a freshman at the University of Pennsylvania. Subjects include: classes and grades, dorms, food, football games, fraternities, men in fur coats, the Philomathean Society, and swimming.